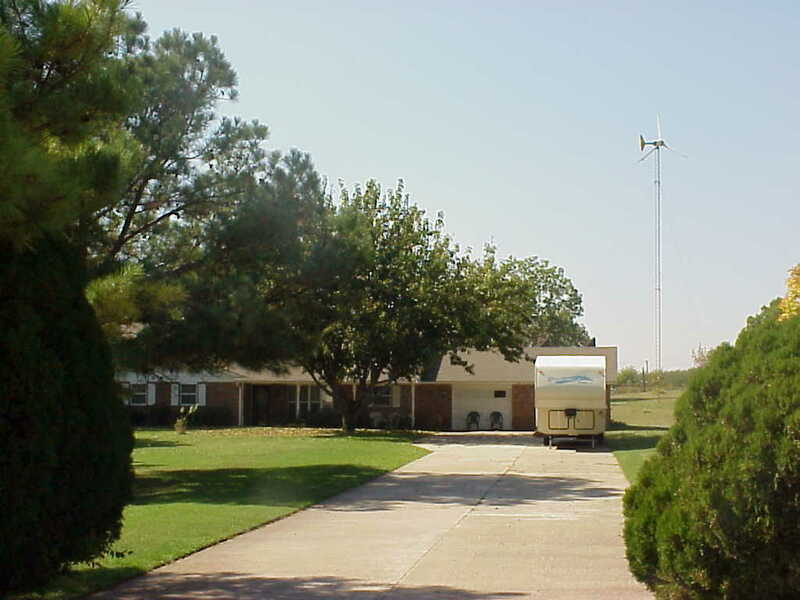 Mr. & Mrs. Charles Epperson of Norman, OK purchased this home in 1992. 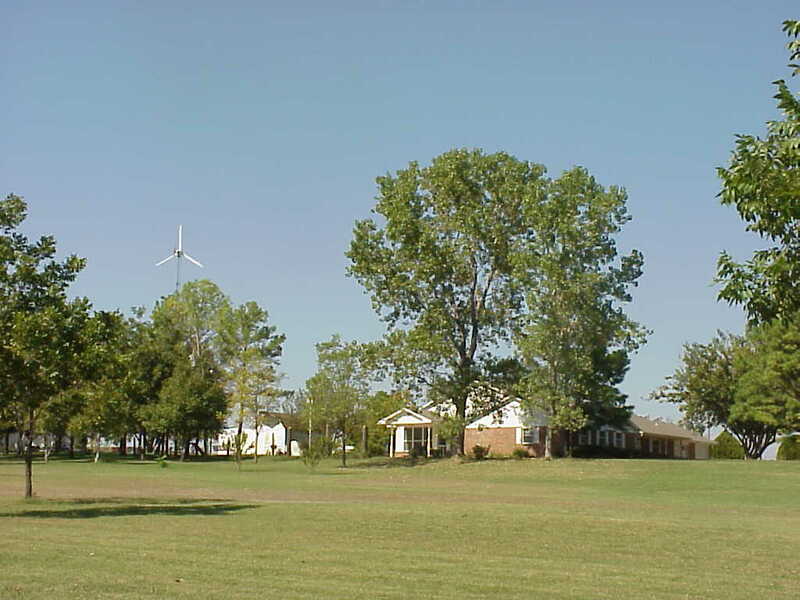 The original owner had installed a Bergey 10 kW turbine in 1984. 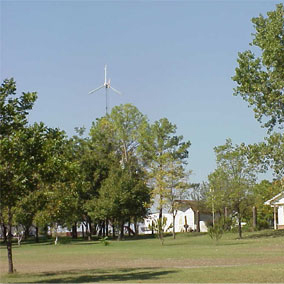 The wind turbine was one of the features that the Epperson's liked about the house because of the unusually low electricity bills. 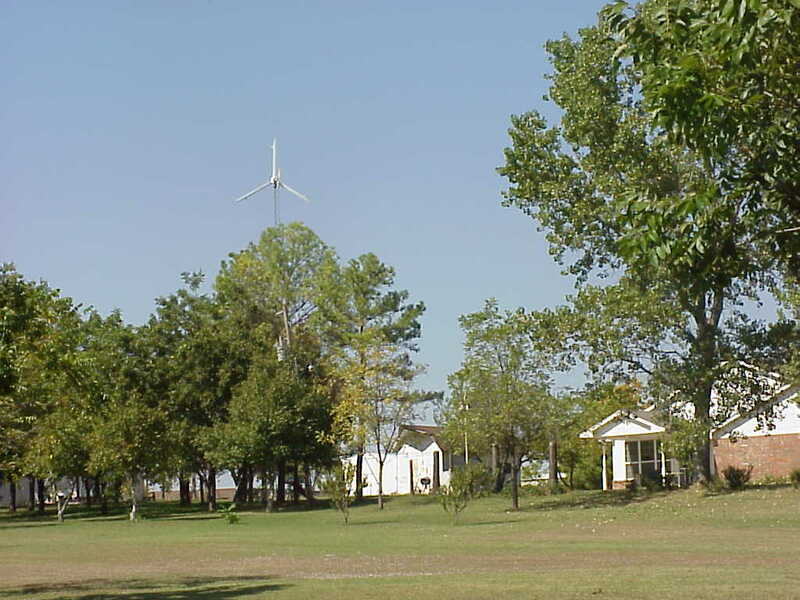 The utility in this case is a rural cooperative, Oklahoma Electric Cooperative. The system is on net metering, so excess production carries over into the next billing period. 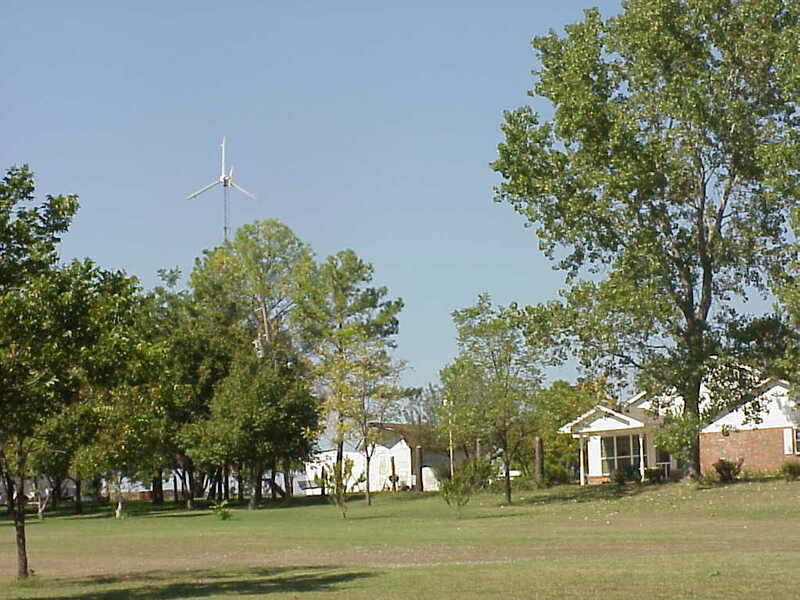 The wind turbine is installed approximately 250 ft. behind the house on a 100 ft. guyed-lattice tower. Other than some electronics problems relating to a malfunctioning circuit breaker and one lightning strike, the system has worked reliably since installation. 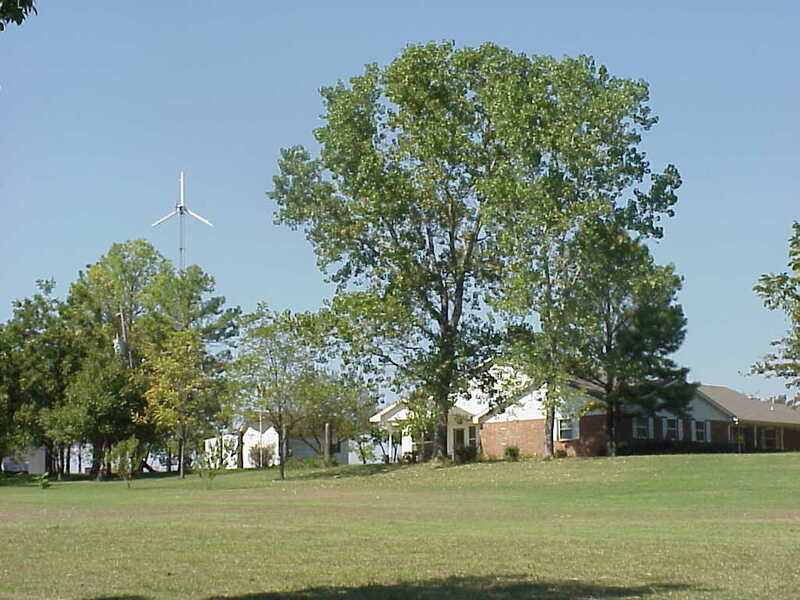 At this point the wind system has repaid its initial investment entirely and the Epperson's enjoy receiving over half of the electricity they consume for free.